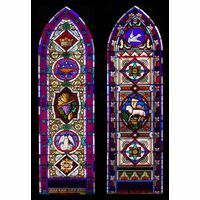 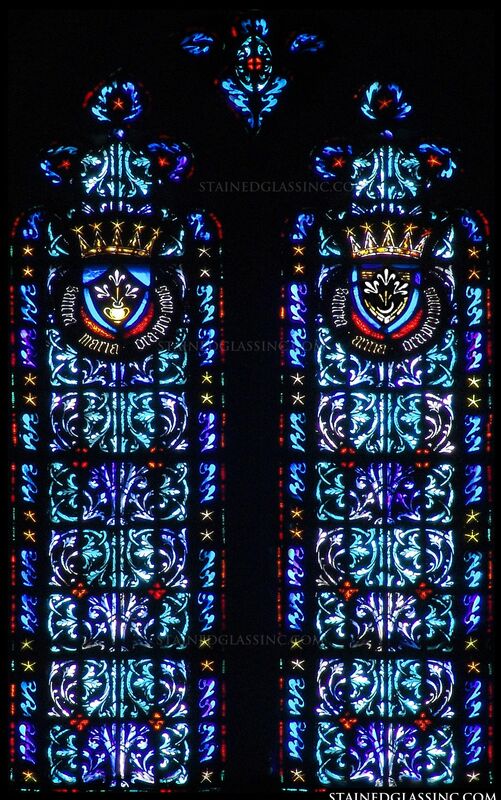 These beautifully detailed stained glass windows feature the text "Sancta Maria ora pro nobis" and "Sancta Anna ora pro nobis." 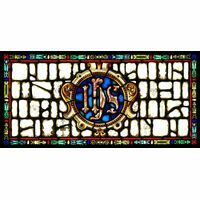 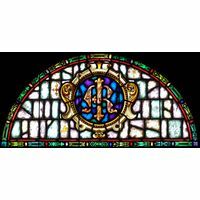 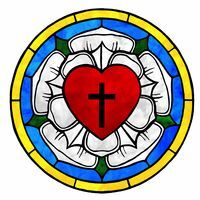 Honoring the Blessed Mother and her mother, Saint Anne, with the phrasing of the holy rosary, this magnificent work of stained glass art is crafted in the classic style of old world European cathedral stained glass windows. 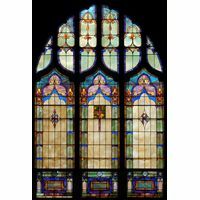 Shot through with hues that cross the full spectrum of color and featuring naturally varied texture that captures and reflects rays of light that dance along the panel in shifting shades and patterns throughout the day, this stained glass window is a study in symmetry. 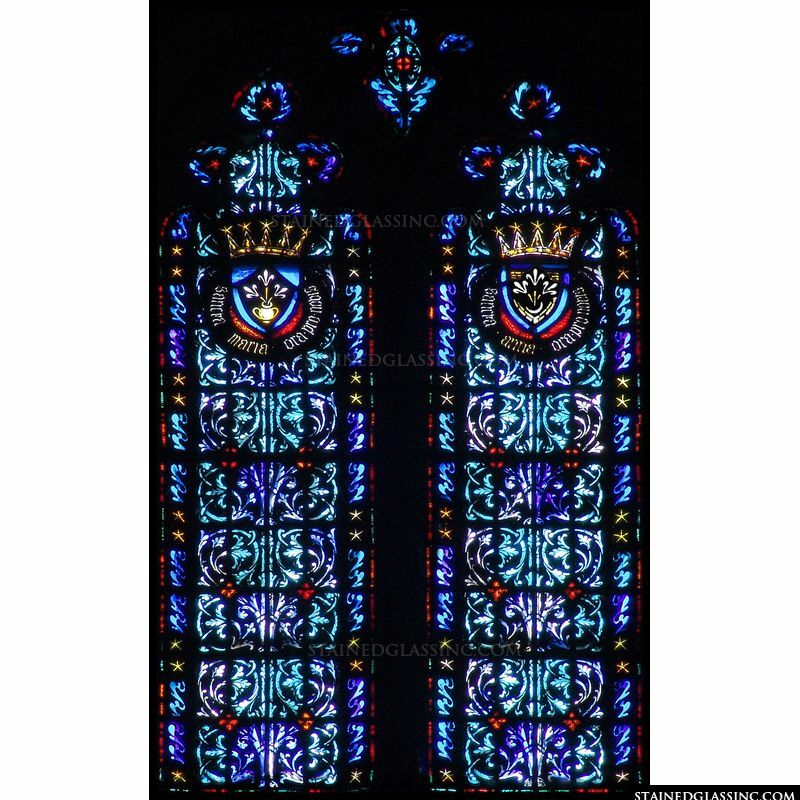 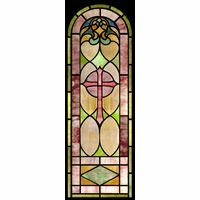 Filling every area of worship with an ethereal glow of muted color and light, this piece is perfect for enhancing church, chapel, cathedral or shrines to Saints Mary and Anne. 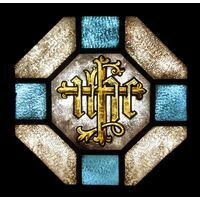 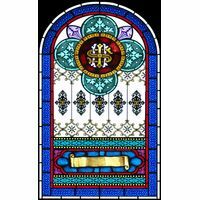 Versatile and elegant, this stained glass art also works as a centerpiece for home or business decor.